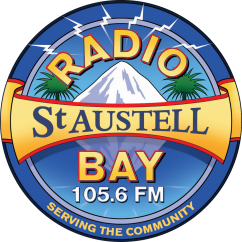 Source fm and Radio St. Austell Bay are delighted to announce the appointment of Tatia Churchill as Fundraising Manager for both stations. Source and RSAB have maintained a close relationship since the inception of Falmouth’s community station and have taken this friendship even further by successfully applying for joint funding to employ an experienced fundraiser.Ofcom’s Community Radio Fund approved the joint application, granting £13844.00 to cover a year’s salary for the role. The stations received a raft of excellent applications, which were whittled down to 5 very strong contenders who were consequently interviewed for the role.Tatia Churchill’s previous roles with Cornwall Council as Community Regeneration Officer and Community Development Officer placed her at the heart of communities across Cornwall, allowing her to build strong links with a raft of organisations and funders. Tatia’s high success rate in securing funds for different communities along with her obvious passion for the work involved convinced the interview panel that she was the right person to work with Source and RSAB. Tatia starts work with the 2 stations on July 1st and is looking forward to new challenges in securing much needed funds for Source and RSAB. Station Managers, Matthew Rogers of Source and Sheila Vanloo of RSAB, are excited to be working with Tatia and firmly believe she will deliver on her promises.